There’s comes a time where we all get busy in our lives and some nights there is no time to prepare dinner. 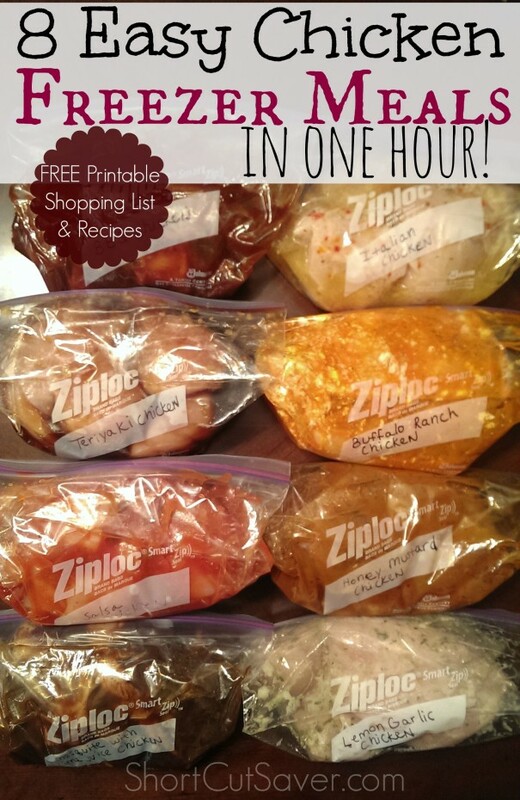 For those busy nights, I have come up with 8 Easy Chicken Freezer Meals that can be prepared in one hour. We ordered 40lbs of chicken from Zaycon Fresh Foods and the hard part was cutting up and trimming the fat off of each piece of chicken. 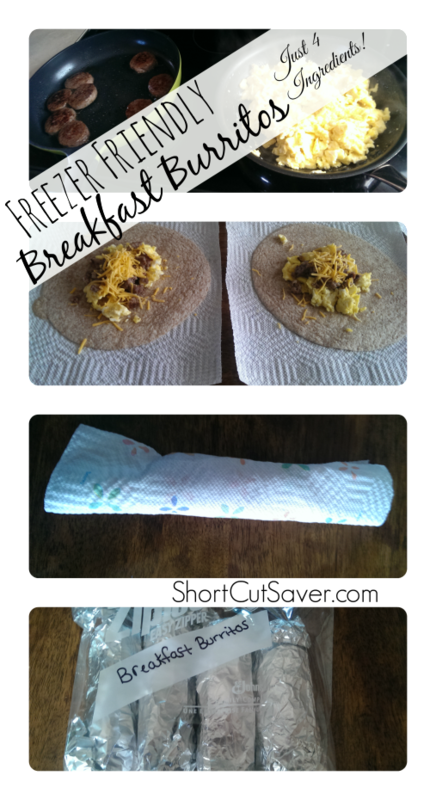 Each recipe is prepared in a Ziploc bag and put in the freezer until needed. When you are ready to cook the meal thaw it out in the fridge overnight and cook in the crock pot. You can cook while you run errands, at work, etc. and come back to a cooked meal. To make this easier for you, I have created a free printable shopping list with all of the ingredients for each recipe and a free printable of each recipe. Download the FREE Shopping List and Recipes HERE! 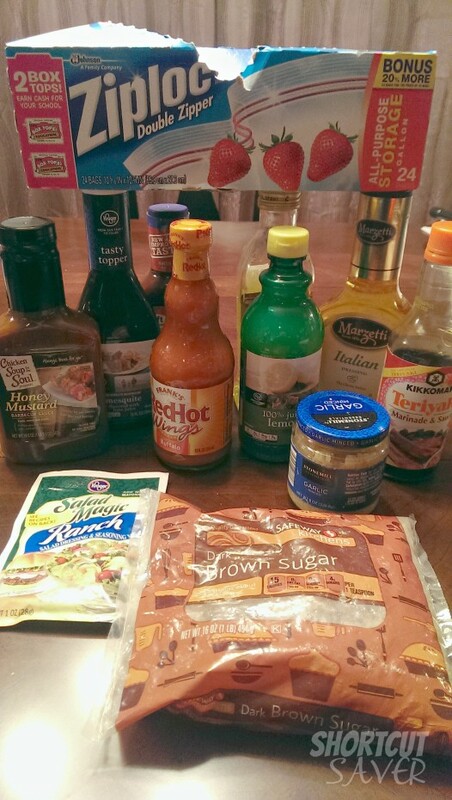 Below is a list of the chicken recipes. Make sure you label each bag before you add the ingredients in as it is easier to write on an empty bag. 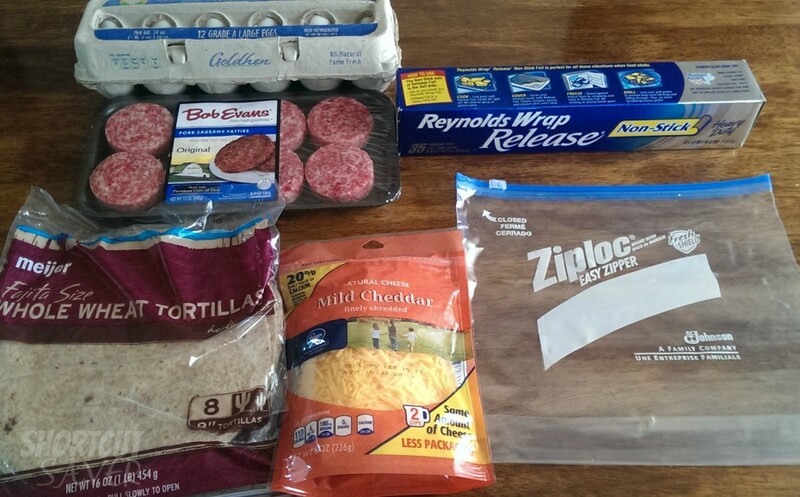 Add all of the ingredients into a Ziploc bag and mush the ingredients together. Get all of the air out of the bag and close. 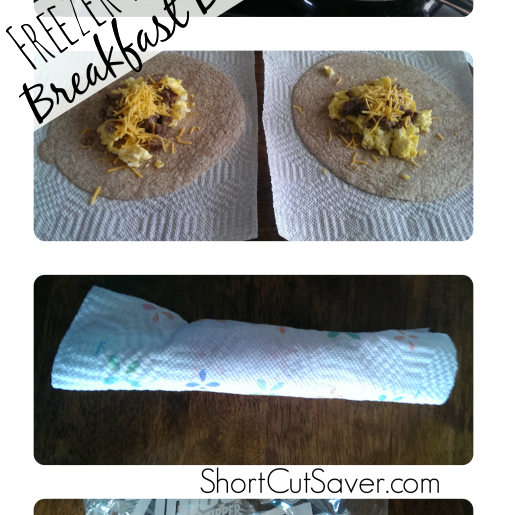 Put in freezer until needed. 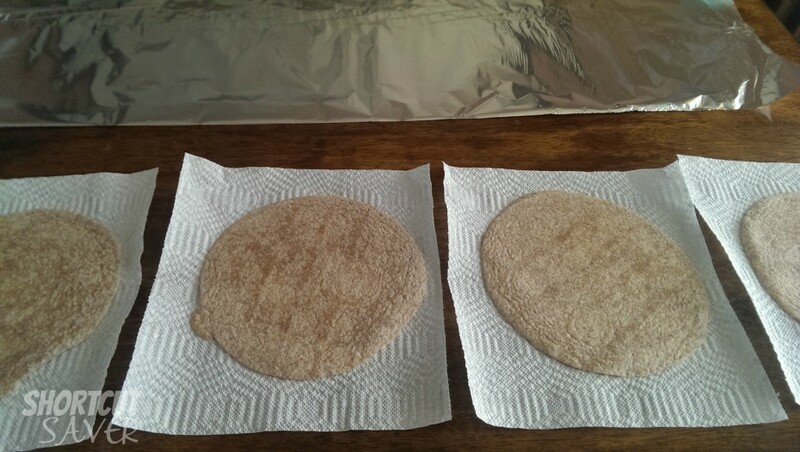 Thaw out in the fridge overnight. 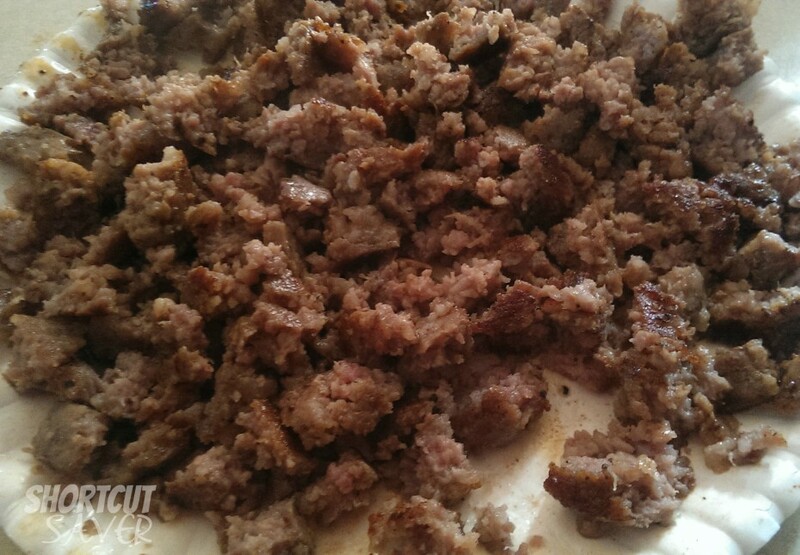 Dump the ingredients out of the Ziploc bag into a crock pot and cook on low for 4-6 hours. 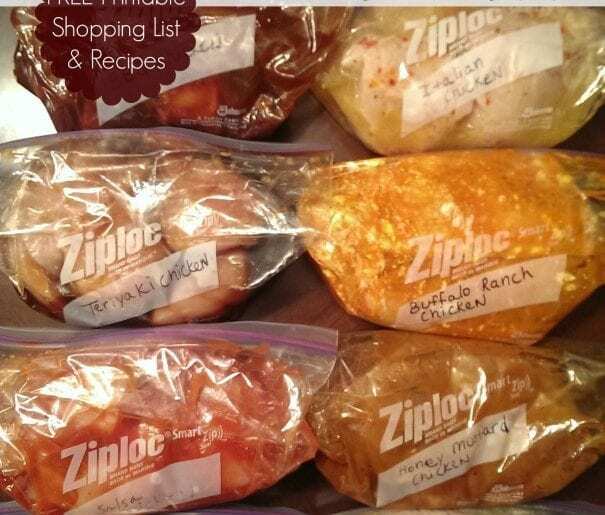 Dump the ingredients out of the Ziploc bag into a crock pot and cook on low for 6-8 hours on low or 4-6 on high.